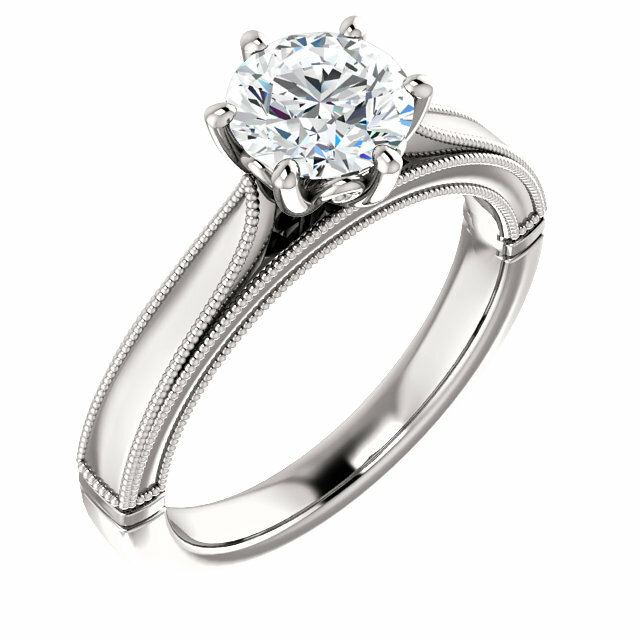 One of the more popular styles of engagement ring are solitaire diamond engagement rings. However, there are a number of different diamond shapes that you can choose that make the perfect diamond solitaire ring for that special person in your life. Browse our selection of diamond solitaire engagement rings here or in store, we would love to design one for you. When looking for a diamond solitaire ring you should determine the type of metal that you would like for the band. 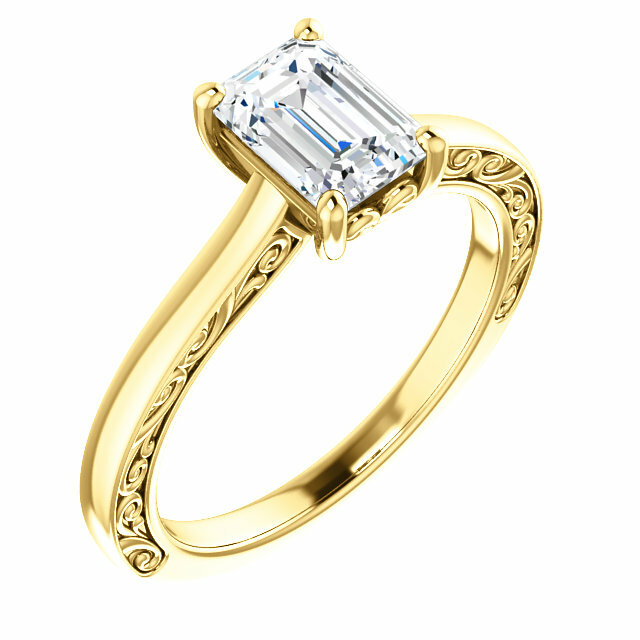 Many custom engagement rings are made from either white or yellow gold. Others are crafted from platinum even though it is a great deal more expensive. If you have an allergy to gold, platinum will be a good choice. You can go with a simple setting with one solitary diamond. This setting will put the emphasis on the diamond, and there will be nothing that will detract from the beauty of the single stone. These are the easiest rings to design as the simplicity lends itself to very few choices. 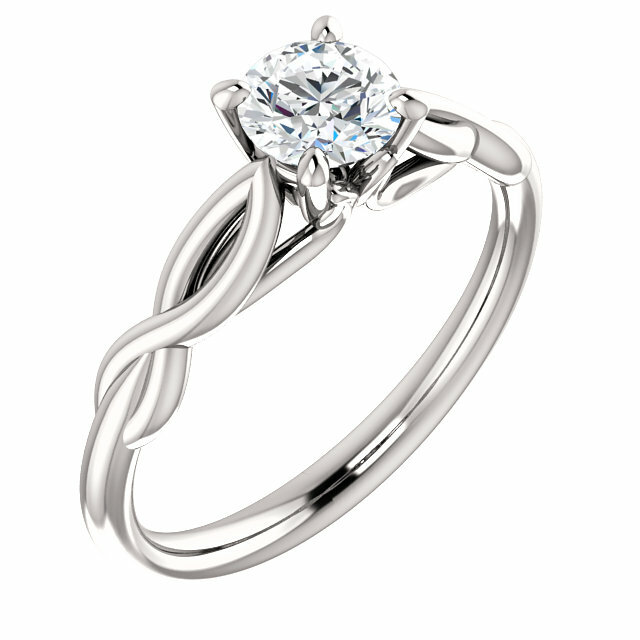 There are a number of settings that will have a solitaire in the middle and then smaller diamonds on each side. Other solitaire diamond engagement ring settings include a center solitaire and then four smaller diamonds that are inset in the band on every side of the main stone. 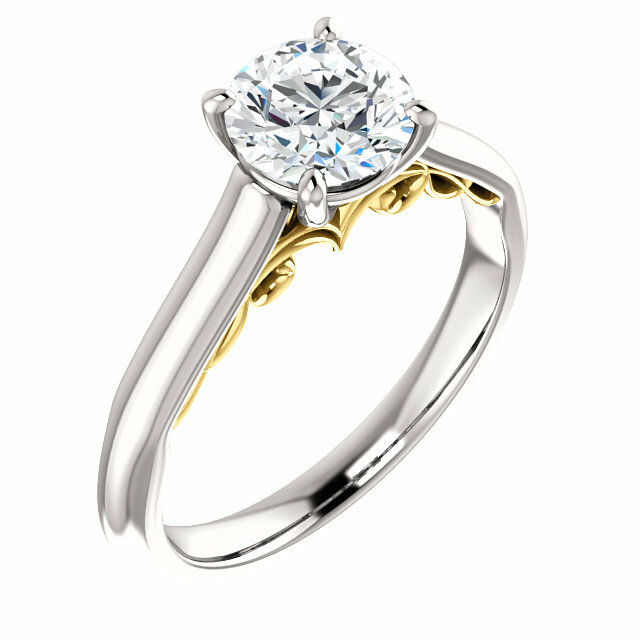 Others may have smaller diamonds that go with the solitaire and elegant designs that are formed in the metal. A heart-shaped diamond is both romantic and just right for any recipient that just loves heart-shaped jewelry. 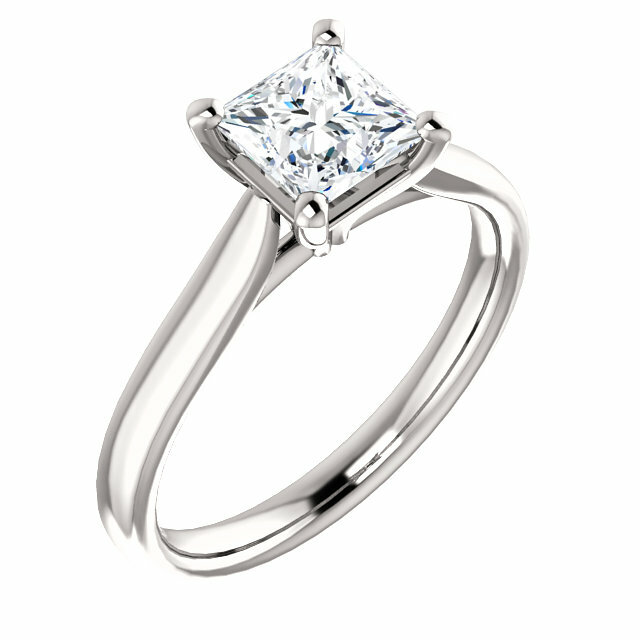 You will also find that the princess cut is a very popular shape. As a matter of fact, this is an option that comes in a close second to the round diamond as being the most popular shape for a diamond engagement ring. While looking for solitaire diamond engagement rings, other shapes that you can take into consideration include pear, oval, and the emerald cut, along with cushion cut, which is a design that is either square or rectangular in shape. You also have marquise, which is considered to be an elegant diamond cut and one that is not often chosen for solitaire engagement rings. Once you select the diamond shape, you will still have to take the band and setting into consideration. The prong setting is a popular option for solitaires, but it is never the only choice. Depending on the shape that you go with, you will then want to decide if you are going to have four or six prongs that hold the diamond into place. 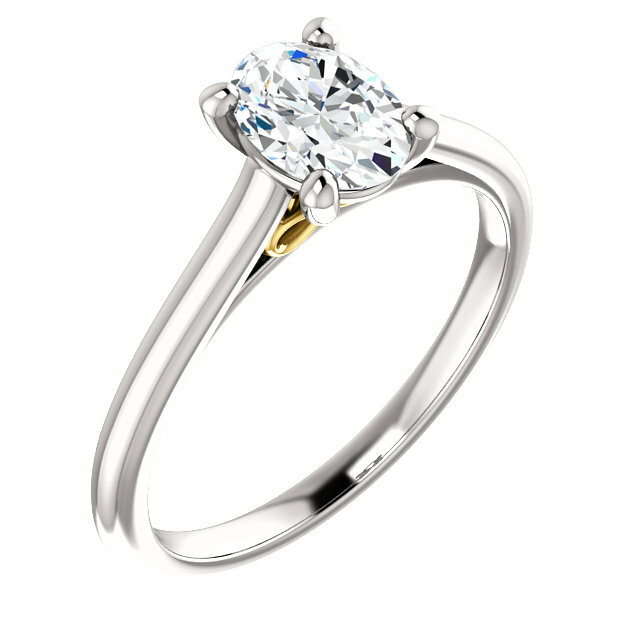 Jack Miller Jewelry Designers offers custom-designed diamond solitaire rings for the discriminating buyer. 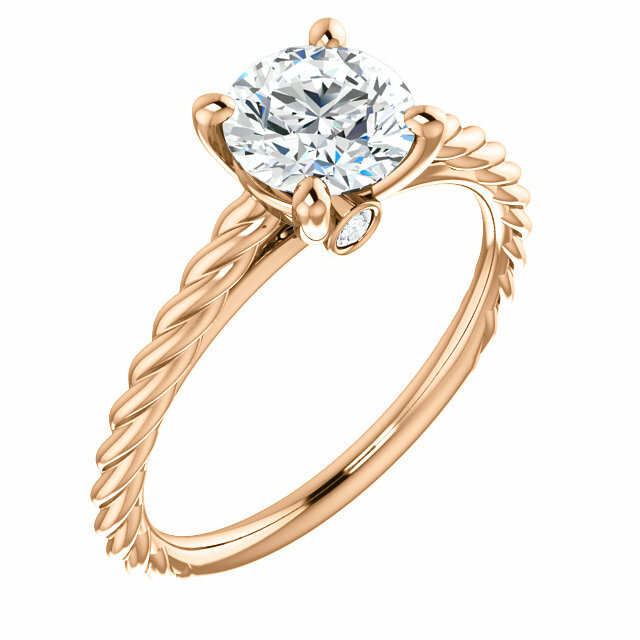 While you’ll find we’re not like most jewelers in Colorado Springs, we can design and craft the perfect engagement ring for you like no other jeweler. 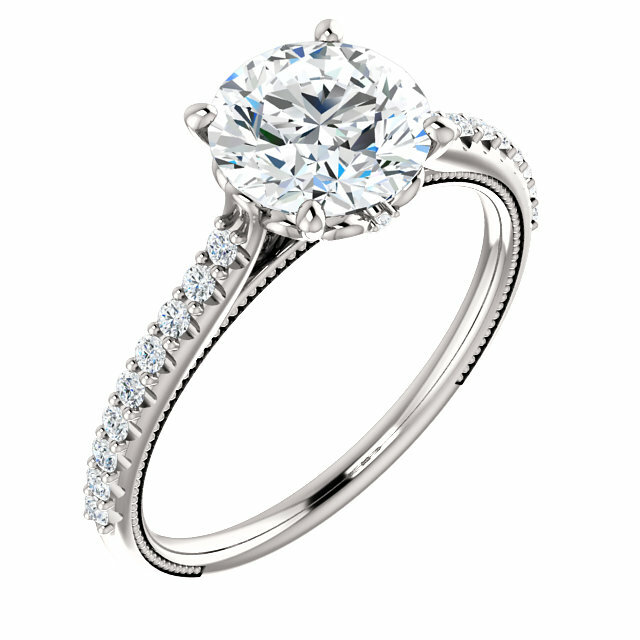 Please call us or visit our store in Downtown Colorado Springs to discuss your engagement ring design.